After the row of 10 matches without a win, Vardar's fans attacked it's own players. After the incident in which luckily no one was injured, the president of FK Vardar Trifun Kostovski announced his resignation from the club. Two months exactly have passed after the last win against Turnovo on October 7th. Since then, Vardar played ten matches. Eight in the league and two in the cup. The so called dream team and the club which was the main contender for winning all titles in Macedonia, has incredible record of 0 won, 7 draws and 3 defeats in the last 10 played matches. Three coaches have leaded the club this season and the last one, Milko Gjurovski failed to celebrate a victory since his arrival. 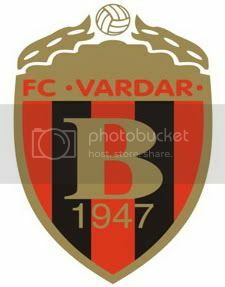 The current upseting results brought big upset between Vardar's fans, the famous "Komiti" and the situation culminated today after the dissapointing draw away to Napredok in Kicevo. More then 100 fans traveled to Kicevo to support Vardar and on the way back to Skopje they waited for the bus on the place called Straza. After the attack with stones and other objects from which all windows of the bus were broken, some of the fans have entered in the bus and tried to beat the players. As macedonianfootball.com unoficially understands, three players were attacked but luckily no one was injured in the incident. The big incident caused big disappointment between Vardar's players, coaching stuff and board. The president Trifun Kostovski who took over the club this summer, announced his resignation and complete withdrawal from the club. – First of all, I'm very happy that there are no injured players after the incident, but I have to say that everybody is very disappointed. The players are questioning their self, if it's worth to play for Vardar, no matter the fame of the club and no matter the current results, because our health is the most important thing for us. Because of the bad results we get fines and punishments. We are fined financially, we can be expelled from the club and because of the bad results our price on the transfer market drops and we are also criticized by the media. That means that we get punished because of our bad performances and we really do care if we play good or bad. The fans must know that we live from the football and we love the club that we live from, said Nikola Gjosevski.